Yesterday, From Soy Sauce announced that its adventure survival game Glass Wing was made available on Steam. While this happened yesterday, Glass Wing had been greenlit for several months now. It took as long as it did because From Soy Sauce had to take care of some formalities in order to do business with Steam. When asked about the Greenlight process, Saijee said that they got 1,755 total yes votes. Additionally, most of the comments they received were positive about the game. This shows a significant number of people are interested in the game. Glass Wing is available for Windows for $4.99. 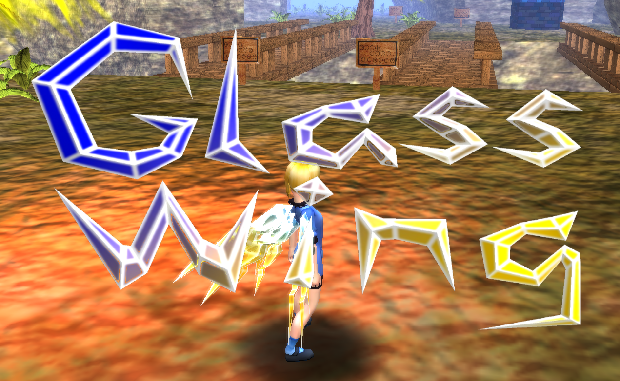 If you want to learn more about Glass Wing, you can read our review. Earlier this year, From Soy Sauce released the excellent platformer adventure game Glass Wing to the world. Now they are trying to get Glass Wing onto Steam via the Greenlight process. If there is any game I could pick from Oklahoma developers to be put in front of all of Steams users, I would probably pick this one. One of the most promising game developers in Oklahoma continues to flaunt its game design chops. From Soy Sauce had really shone when it completed its IndieGogo funded game Spheroid earlier this year. Now it is back with a game jam game that shows just how great they can be. Glass Wing was released a couple of weeks back as the result of FSS’s efforts to compete in a month long game jam put on by 64 Digits. As a result of this, FSS created a retro inspired 3D platformer with just the right mix of Ocarina of Time and Metroid Prime style platforming.